home » photography » Mt. Disappointment 50K Returns! Note: The Mt. 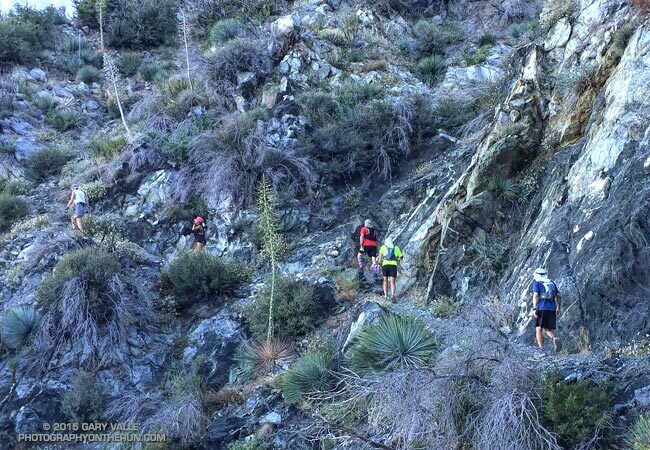 Disappointment Endurance Run is now the Angeles National Forest Trail Race. Following a two year hiatus the challenging Mt. Disappointment 50K was run today in near perfect weather conditions. How did the temperature today compare to the torrid conditions in 2012? The HIGH temperature today at Clear Creek — 76 °F — was 7 degrees COOLER than the temperature BEFORE SUNRISE in 2012 — 83°F! It was warm in the sun in a couple of places today, but nothing compared to the 115°F in the sun in 2012. This was the ninth running of the event, which began in 2005, and the first time since 2008 that the 50K was run on the original course. In 2009 a rockslide closed the Mueller Tunnel, resulting in a detour down the Mt. Wilson Road. In 2010, 2011 & 2012 portions of the course were closed as a result of the devastating Station Fire and subsequent flash floods. This required a rerouting the course and adding the infamous climb up Edison Road to Shortcut Saddle. 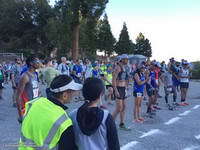 The iconic climb up the Kenyon Devore Trail has been a hallmark of the event every year in which it has been run. Here’s an elevation profile and an experimental Cesium browser view of a GPS trace of the course, with mile splits generated by SportTracks. The view can be zoomed in & out, rotated and tilted. Mileages and placemark locations are approximate. It does not require a plug-in and should work on most devices. Many thanks to Gary & Pam Hilliard, Fausto & Cindy Rowlan, and all of the Mt. 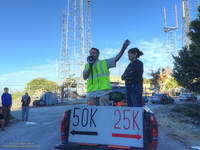 Disappointment 50K Staff, volunteers, HAM radio operators, Sierra Madre SAR personnel, runners, and sponsors that have helped make all nine Mt. Disappointment 50Ks such outstanding events! I’m already looking forward to running number 10! Photos and results can be found on the Mt. Disappointment web site. Some related posts: Mt. Disappointment Notes: 2012, 2011, 2010, 2009, 2008. Previous PostCheckerspot Feeding on Humboldt Lily Along the Silver Moccasin TrailNext PostJuly Deluge a Preview of Southern California’s Upcoming Rain Season?